We are so glad to be back at Lakeland this week for the annual Artist Market. It is a blend of artists, photographers, potters, glass work, fiber arts and so much more. 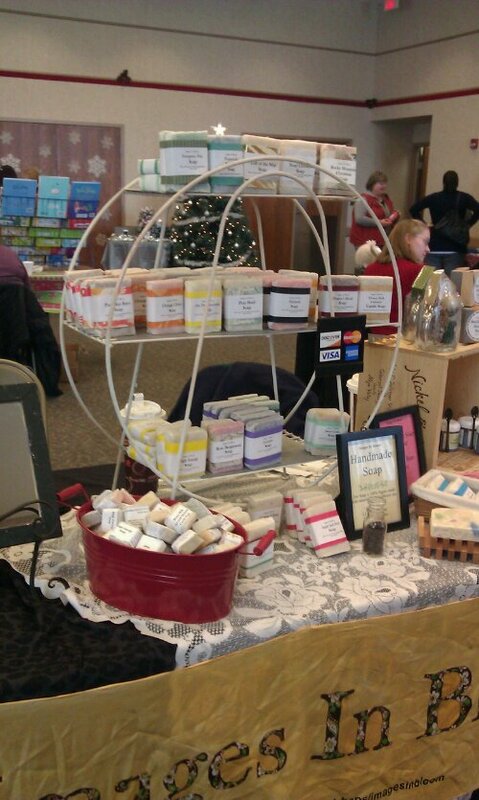 Put together by Mary Urbas, this is our third time doing the market. So here is a sample of what we are bringing = soaps, shave soap, shave kits, and some silk. If i have a chance tonite to finish sewing lining into the two rebloomers and put a handle on the market bag i will have a few rebloomers too.